A state museum at the epicenter of the modern derby resurgence will showcase the full history of the game until this August. Roller derby wasn’t invented in Texas, but it was certainly reinvented there. The official state museum wants everyone to know that’s the case with a new exhibition showcasing the full history of the game from Chicago 1935 to Austin 2001, and beyond. Last weekend, the Bullock Texas State History Museum in the state capital opened Roller Derby, an exhibit that takes visitors through the 80-year life of the game. 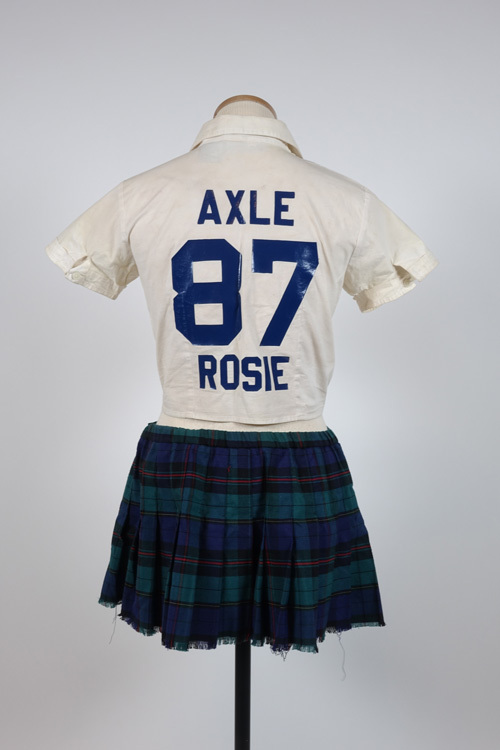 The show includes historical items from the distant and recent past, photographs and video, interactive features, and the stories of the women who helped build the game to where it is today. Erin McClelland, curator of the new exhibit and a derby skater herself, said that others point out to her how debyfolk around the world know that Austin, Texas got the modern game started, but those outside the derby community don’t realize what has been going on in their own backyard. The exhibit features both leagues and their decade-plus stories along side the historical version of the game. Museum patrons will find life-size images of skaters, game-used roller skates from the past and present, classic bout posters, the TXRG championship trophy, and a roller rink-like environment to contain it all. Roller Derby runs through August 9. The Bullock points out that the show will be on view at the museum during ESPN X Games Austin, held at the nearby Circuit of the Americas on June 4-7—just in case those interested in extreme sports wants even more action sports in their lives that weekend. Texas is the only state in the Union that plays every kind of modern roller derby there is: WFTDA, MRDA, USARS, MADE, RDCL-style banked track, Renegade, and of course the one-of-a-kind TXRD Texas-style roller derby. Lucky dogs, you lot.